Today I would like to talk about cover versions. Specifically covers recorded and released by artists, as opposed to covers performed live, which are slightly different beasts. I’m not going to make a numbered list of my favourite covers because a) I change my mind every ten minutes and b) it’s been done a million times elsewhere. But for those wanting a list, this one of the100 best (courtesy of RetroCrush) is pretty good. I agree with Devo’s ‘Satisfaction’, CCR’s ‘Heard it Through The Grapevine’ and a Johnny Cash cover making the top ten, but Joe Cocker’s ‘With A Little Help From My Friends’ (8th) would be even higher on my list. There’s also a list of the 100 worst covers. All entertaining reading, but what is it with covers? Why do some work and some tank? 2. Just Plain Wrong covers (versions that sound like crap). Both of these are subjective classifications, though the level of overlap (agreement) with the first is likely to be larger than with the second. The rules for what (I think) makes a good cover are the inverse of what a bad cover is. A good cover has something new about it to justify its existence and works as a stand alone song (i.e. it sounds good). The reason a good cover can sometimes be better than a good new song is the way it works on two levels – speaking back to the original while rocking your socks off in the present – while a new song is like a first line of dialogue. I think that’s why I’m so drawn to covers. But even bad covers have their place, like tourists in your hometown: even if its just for those moments when you’re walking home and someone is taking a photo of a building you walk past everyday and this rekindles a little wonder in your environs. A cover of any sort, good, bad, or forgettable, should at least make you think about the original. A What’s The Point? cover may sound the same as the original, but something will be lacking. What’s that something? Well, it’s whatever made that band special. Britney Spears’ cover of ‘I Love Rock and Roll’ sounds quite similar to Joan Jett’s, but everyone knew Britney didn’t love Rock and Roll, whereas Ms. Jett pulled off her leathers with aplomb (minds out of the gutter, please) - - but of course the original was by The Arrows, which sounds a bit flat, revealing a) The Arrows weren’t cut out for rock and b) they still managed to write a great rock song. 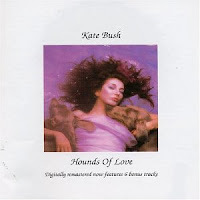 A Just Plain Wrong Cover will remind you of the aural pleasure contained in the original. Compare and contrast Madonna and Don McLean’s versions of ‘American Pie’. A good cover will always bring something out of the original version the next time you hear it. A great cover will show you things in a song you never knew were there. But covers don’t just happen. An artist (or producer, or someone in the A&R chain) must select a song to cover from the millions available. The aim can vary: to make a hit; as a b-side to reward fans and attract trainspotters for particular artists; to mix things up on an album; to make link the cover artist and the original (or highlight the differences)… but there is always an aim. There are no accidental covers. The reason most covers come from here is it’s easier to make the song your own if the original is nothing like your normal sort of music. But there’s also more potential for this to blow up in your face. You could break this category in two if you wanted: pop artists covering songs with integrity and artists with integrity doing pop songs… but let’s just leave it there for now. This could be a forgotten album track by a well-known artists, or a song from a band that never quite broke into the mainstream or didn’t age well. Pearl Jam covering J. Frank Wilson’s ‘Last Kiss’ (Craig’s verdict: I have no idea how this song can be Pearl Jam’s biggest selling single… I could never stomach it). Sometimes the motivation of artists performing Type 3 covers can be genuine: trying to introduce listeners to bands they personally admire and their listeners might not have come across (e.g. Monster Magnet’s covers). But not often. Flight of fancy: I think it would be cool to have a band which had a narrowly defined cover criteria, such as songs from albums which artists which have disowned (implicitly or explicitly). Might I suggest, ‘Anyone Can Play Guitar’ from Pablo Honey, ‘Burnt’ from News and Tributes, and ‘One Night in Copenhagen’ from In Between Evolution. What all this categorisation illustrates, to me at least, is that intention is the most important factor when weighing up the value of a particular cover. I like the Sugababe’s pop-ing the heck out of the Arctic Monkey’s indie smash. I can’t stand Jessica Simpson pop-ing out all over what was essentially a novelty song for Nancy Sinatra. Sometimes a cover can leave all the boxes unticked and still deliver. 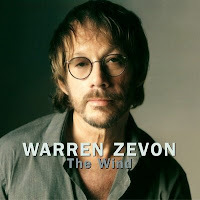 Warren Zevon’s cover of Bob Dylan’s covered-to-death ‘Knocking on Heaven’s Door’ sounds superficially similar to other versions, but because he was literally knocking on heaven’s door when he selected this song and recorded it (for his final album, The Wind), it’s incredibly powerful. It is also a great compliment to Dylan that he could write the song to sum up this moment in another wonderful songwriter’s life when he was decades from death’s door (and writing for a movie soundtrack to boot) – this is that “speaking back to the original” thing I was talking about earlier. Now compare Zevon’s version (sorry, this is the closest I can find) to Avril Lavigne’s. If you were to transcribe the music, or look at the graphs of the soundwaves, these songs would be very similar, but one is meaningless rubbish the other is Art. No prizes for guess which is which. So, while I may not have given a numbered list today, I think I’ll end on some more recommended cover artists. Johnny Cash – lots of people list ‘Hurt’ as a top cover (in the same vein as Zevon’s ‘Knocking’), but I think ‘Rusty Cage’ is cooler, and there are about fifteen other songs from his final years which meet my “good” cover criteria. William Shatner – Some people can’t stand the fact he “ruined” (their words, not mine) ‘Common People’, but these people don’t have a sense of humour, which is something music in general needs more of. The Foo Fighters – ‘Baker Street’, ‘Band on the Run’, ‘Down in the Park’… excellent song selection and enough new flavourings to satisfy this palate. Grand Funk Railroad - Would make it on the basis of their version of the Stones’ ‘Gimme Shelter’ alone, but a surprising number of their other hits were covers too. Okay campers, that’s all from me. Thanks for reading this mammoth post. I’ve enjoyed bringing it all together. I think that the Byrds and Manfred Mann's versions of Bob Dylan's songs p*ss mightily all over Dylan's own versions. Then again, I have never really been a huge Dylan fan. Did you know that you can create short links with Shortest and earn dollars from every click on your shortened links.